SSB: How long have you been involved with this play? Rashida Shaw: I have been involved with Concord Floral since its first workshop presentation at Canadian Stage’s Festival of Ideas and Creations in the spring of 2012. The following November, we did another workshop at Theatre Passe Muraille’s Bring The Buzz Festival. In October 2014, we presented the full 80-minute world premiere production at the Theatre Centre (co-produced by Why Not Theatre). All three iterations were drastically different from one another, yet depicted similar themes of adolescence, suburban sprawl, and modern representations of medieval images/text. SSB: How has it changed from its first workshop to now? RS: The very first workshop we did was seven pages long with very little dialogue. It relied heavily on image-based aesthetics through the use of tableaux and a projection screen that showed medieval themed paintings. The piece was largely centred around little snippets of a day at a high school and through the incorporation of live music and images; it provided a unique visceral experience for the audience. I think this version differs from the earlier workshops as you get to learn more about each individual character: their thoughts, hopes, and fears. Having more text allows you to watch these characters go through a much more developed narrative journey. There is no projection screen and it’s a very minimal set, with a greater emphasis on sound and lightning. The first workshop was a glance into an event that took place during one day, inviting audiences into “the teenage world”. In this version, we dive to a much greater depth of what is means to be a teenager in our present day. We explore questions concerning the notion of collective responsibility, not only as young people, but as humans. Jessica Munk, Erum Khan. Photo by Erin Brubacher. SSB: What has been the biggest challenge of the process? RS: The biggest challenge of the process thus far is being true to this version’s iteration and not falling back on how I performed my role in 2014. I’ve realized it’s been extremely difficult for me to stray away from my muscle memory of how I used to talk and move, and challenge myself to find new nuances in the role and be open to trying something different. SSB: Why do you think this story is important? RS: I think this story is important because it shows realistic views on what it is like to be a teenager. We are complex individuals who face heartbreak, joy, disappointment – some teenagers have to grow up before their time. The play examines topics and themes that are largely considered taboo for adults to talk about and that are especially rare for young people to be seen talking about in theatre (or any artistic medium), let alone doing. It’s important because teenagers are not what you see on a television show played by thirty year olds. They are humans living on this planet trying to figure things out just like everyone else and this show gets that. SSB: Do you think this play is an accurate representation of your peers? RS: I believe this play is an accurate representation of my peers because of the casual conversational style of dialogue in the play; the slang terms that come from our day-to-day life; having actual young voices and bodies on stage, and the fact that as a cast, we relate to the characters we play because they are so close to ourselves. SSB: What’s it like working with more than one director? RS: Well, we basically have three directors and it’s surprisingly easy and seamless for the most part. Erin Brubacher and Cara Spooner, our co-directors, are like our moms and Erum Khan, our assistant director, is like our big sister (even though she’s a year younger than me). Erin and Cara are so in sync that they usually finish each other’s sentences like weird couples or identical twins. There are also times when only one of them can be at a rehearsal and we might get conflicting notes but when they’re both back in the room one of them will say: “Oh yeah, I see what you’re saying. We should try that.” They all have different yet similar styles that mesh well for us in this process. It allows us to appreciate and understand the piece and our roles through a multitude of viewpoints. One director might ask us to try to think about a line from a new perspective, another will ask us to approach something in a different way, while the other might ask how/if a specific moment felt different and why. It’s nice having different views and a sort of 360° super director. We’re very fortunate and lucky to have three cohesive directors. 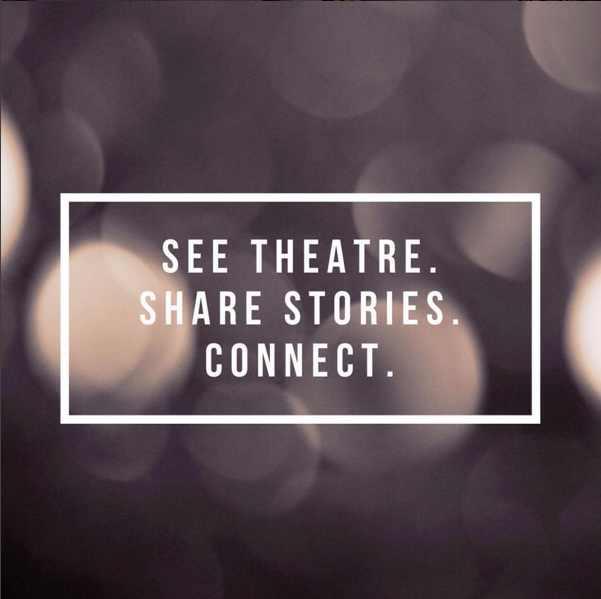 SSB: Why do you do theatre? RS: In grade 5, I played The Grinch in “The Grinch Who Stole Christmas” and was bit by the acting bug. I do theatre specifically because it’s a living, changing thing; you never know what’s going to happen with live art and that’s what’s so exciting and what keeps it fresh. Audiences are a big part of that through the give and take between performer and viewer. When I hear their first reaction, I’m like “Ok, now we’re in the same world, now we can play.” I do theatre because I wouldn’t be myself if I didn’t. It’s my greatest passion and it brings me the most joy in life (next to food of course). SSB: Who do you think this play will speak to? RS: Anyone who has ever been a teenager. A haunting tale set around Concord Floral, once a million square foot abandoned greenhouse and hangout for neighbourhood kids in Vaughan, Concord Floral re-imagines Giovanni Boccaccio’s 13th century literary masterpiece The Decameron in a contemporary Canadian suburb, in which ten teens must flee a plague they have brought upon themselves. This Canadian Stage production brings together ten youth performers from the GTA and across the country to play ten teenagers (plus a fox, a bird, a couch, and a greenhouse), in this piece about beauty, cruelty, mercy and the modern adolescent experience.